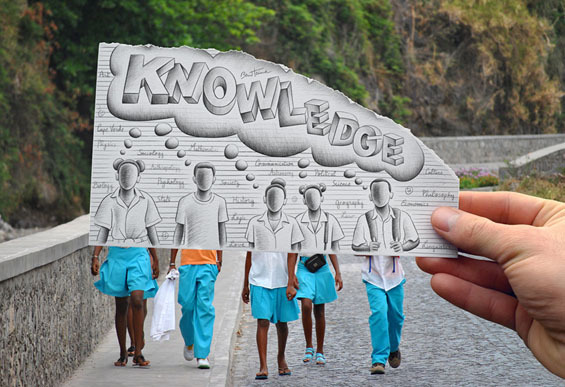 Ben Heine is a Brussels-based photographer and illustrator who was born in the Ivory Coast. His playful images capture the idea of “manual photoshop”, and while fun, also carry a poignant level of idealism. You can find more of his images here.